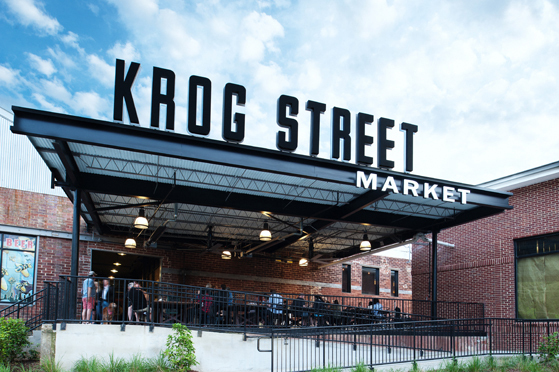 Krog Street Market is a west coast style epicurean market hall, located in the heart of Inman Park, one of Atlanta’s most historic intown neighborhoods. It features covered market stalls to sell fresh produce, specialty goods and prepared foods as well as a few southern-grown, chef-driven neighborhood restaurants. 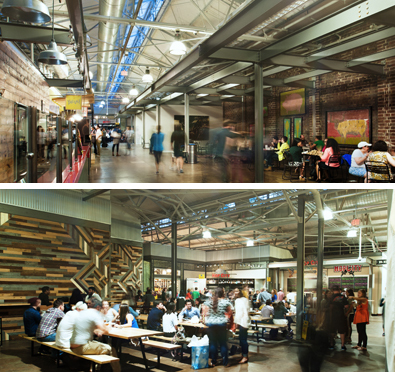 The market offers a gathering place for eating and socializing in a re-purposed 1920’s warehouse on Krog Street that was once part of the historic Atlanta Stove Works. Located a half block away from the Atlanta Beltline’s Eastside Trail, the market has become a destination for bikers, walkers and joggers from all around Atlanta.